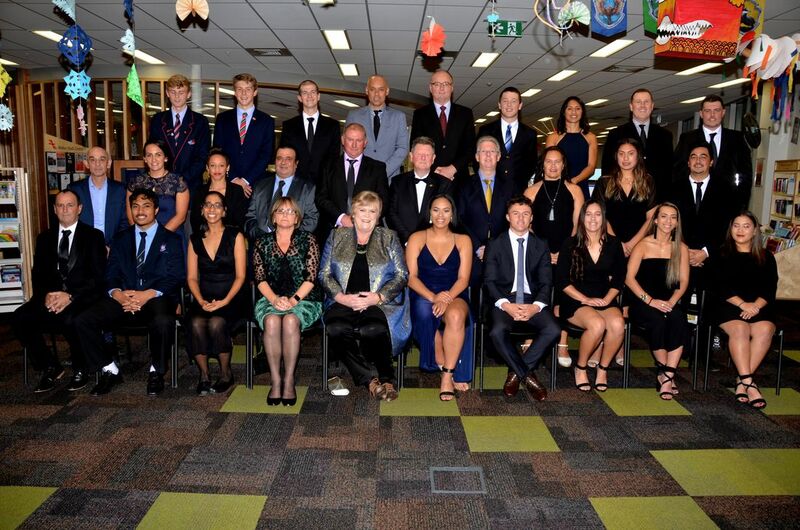 ﻿﻿Finalists for the inaugural Hutt Valley Sports Awards were announced by the judging panel via various media channels on 1 May 2018. Winners of each category, along with an overall winner, were announced during the 17 May Awards Ceremony. High achieving athlete Ann Fowler was also inducted as a Hutt Valley Sporting Legend during the ceremony. Finalists of the 2018 Awards prior to the ceremony. Selected from the winners of each category. ﻿﻿﻿﻿​﻿﻿﻿﻿﻿​Joel Evans is an exceptional Softballer whose recent performances have elevated him to international elite status. Joel played his way into the World Cup Championship Team with consistent performances at local. regional and national tournaments. He is a well-known character and local Wainuiomata identity whose family is entrenched in Hutt Valley Softball at all levels. • As a member of the Hutt Valley Dodgers Premier Team, winners of four club tournaments, the Hutt Valley Premier Competition, NFC Team and the Black Sox, Joel was recognised as Hutt Valley Softball Male Player of the Year. ﻿﻿﻿﻿​﻿﻿﻿﻿﻿Colleen Probar has a record in marching that is surely unsurpassed. Born and raised in Lower Hutt, she started marching for Glengary Robins when she was 11. In 1957, she took on her first coaching role at the age of 16. In the years since she has kept an almost continuous involvement in marching with the Lochiel Marching Drill team. In her long coaching career she has won 46 senior grade titles and coached Lochiel to international success. Locheil are renowned in the international tattoo committee where they represent New Zealand proudly. Over the last 50 years, Probar has marched and coached numerous successful teams, and has held numerous roles in regional and national executives. She has positioned her teams to participate in community events, Waitangi Day celebrations and and demonstrations at cricket and rugby internationals. Probar was involved in the training and choreography of 50 marchers in the Edinburgh tattoo when it was held in the Westpac Stadium. In 1996 she received the QSM for her setrvices to marching. Crowe Horwath's Dave Shadwell presents Kat with her award. Wellington's Kat Whata-Simpkins is a talented athlete who has represented New Zealand in both rugby and league. Hailing from Hutt Valley, Whata-Simpkins made her debut for the Black Ferns Sevens team in China in 2014 and since then has been a regular member of the squad. She has represented over the years at club level for the Stokes Valley and Avalon Women's teams. ​• Kat was a 2018 member of the Wellington Pride 7’s team. Lara Andrews is an exceptional sportswoman whose performance, leadership and mentoring were key influences in the 2018 success of women’s softball at local, regional and national level. ​Lara is the only player in New Zealand to play in the elite US Professional Softball League. ​Sarah Gregorius is a New Zealand Football International and former professional athlete who returned to her roots rejoining Upper Hutt City Football for the 2017 season. Sarah has made an immediate impact on the football scene with her inspirational energy, enthusiasm and performance. ​Joel Evans is an exceptional Softballer whose recent performances have elevated him to international elite status. Joel played his way into the World Cup Championship Team with consistent performances at local. regional and national tournaments. He is a well-known character and local Wainuiomata identity whose family is entrenched in Hutt Valley Softball at all levels. Asafo Aumua is a very promising Rugby player with a fine future in the game. Blessed with huge athleticism and strength he brings a new dimension in the number 2 jersey wherever he plays. After being named the outstanding player in the 2016 - 2017 U20 Rugby World Cup he was in the selector’s eye. Joel Evans is an exceptional Softballer whose recent performances have elevated him to international elite status. Joel played his way into the World Cup Championship Team with consistent performances at local, regional and national tournaments. He is a well-known character and local Wainuiomata identity whose family is entrenched in Hutt Valley Softball at all levels. Sika Manu has an Upper Hutt heritage, attending Upper Hutt College. He played for the Randwick Kingfishers, Petone Panthers and the Upper Hutt Tigers in the Wellington Rugby League Competition. Manu was a 2004 Junior Kiwi international and in the Kiwis NZ Rugby League Team which went on to win the 2008 Rugby League World Cup. The Eastbourne Mens Interclub Lawn Bowls Team had another excellent season in 2017-2018. • The Team are also the Wellington Premier Interclub Champions for the seventh time in ten years. The Hutt Valley Mens Softball Team had an outstanding performance to win the Softball New Zealand National Mens Fastpitch Championship title after an 18 year drought. • The Team overcame adversity with injury and player availability to battle their way through to this win. were selected and recognised for their outstanding performances. • Otila Tavite was named Top Catcher and Erin Blackmore named Top Pitcher and Most Valuable Player of the tournament. Mark Sorenson continues to dominate softball coaching at World Championships. His leadership has inspired other former athletes to "give back" and the succession planning and future of coaching in the men's game is sound. He has identified and nurtured talent within the Black Sox that will ensure we remain competitive for the years ahead. • He was named Softball New Zealand Coach of the Year and was a finalist in the Halberg Sports Awards. Gary Holland has held coaching positions in New Zealand, Australia and the UK. Since 2016 he has been Head Coach of the Wellington Capital Swim Club where he has coached athletes of all levels and events. Mark Sorenson continues to dominate softball coaching at World Championships. His leadership has inspired other former athletes to 'give back' and the succession planning and future of coaching in the men's game is sound. ​He has identified and nurtured talent within the Black Sox that will ensure we remain competitive for the years ahead. He also coached successfully at the Squash World Doubles Championship Event in 2017 and carries out significant coaching and development roles for Squash New Zealand. Anita Mooney is Centre Manager for Hutt Valley Netball. In this role she oversees a wide range of activities managing 70 senior teams and over 200 junior teams in the winter competition. Her attention to detail and passion for the role is exemplary. Anita has built up a strong rapport with clubs, schools, funders and volunteers. • Anita is also President of the very successful Upper Hutt Maidstone United Netball Club. Sue Loftus is an integral member of the Special Olympics Hutt Valley. As a team manager and administrator she brings a wealth of experience and capability to the roles. Anita Mooney is Centre Manager for Hutt Valley Netball. In this role she oversees a wide range of activities managing 70 senior teams and over 200 junior teams in the winter competition. Her attention to detail and passion for the role is exemplary. strong rapport with clubs, schools, funders and volunteers. professional role as Head of Physical Education at Naenae College. ﻿﻿﻿﻿﻿​Seamus Curtin has flourished as a bowler under the guidance of former Commonwealth Games Representative Blake Signal in the Stokes Valley Bowls Club. Seamus is a down to earth well-grounded young man who will no doubt go onto bigger honours during his bowls career. • He was named College Sport Wellington Lawn Bowls Player of the Year for 2017At club level Seamus won the Stokes Valley Singles and Fours Titles. Seamus Curtin has flourished as a bowler under the guidance of former Commonwealth Games Representative Blake Signal in the Stokes Valley Bowls Club. Seamus is a down to earth well-grounded young man who will no doubt go onto bigger honours during his bowls career. Finlay Seeds continues to be one of the country's most promising middle distance runners. He is also a very prominent young cross country and road runner who performs well above his age group. Finlay has various achievements across all three fields. • NZ U17 Emerging Sox Softball Team 2018. National Fastpitch Championship Mens Team and was selected in the Softball New Zealand U17 and U19 National Tournament Teams. successful Open Men, U19 and U17 Teams. • Wellington U16 Mixed Touch Team, winners of a National Tournament. • She was a member of the Hutt Valley National Fastpitch Championship Team and U19 Team who were both winners of National Championships. Denva was named in the U19 National Tournament Team. Denva was also named Hutt Valley Softball Association 2017-2018 Emerging Player of the Year. Denva Shaw – Tait has had an outstanding year of achievement in Softball in 2017 – 2018. This has culminated in accepting a US College Softball Scholarship to attend East Stroudsburg University in Pennsylvania later this year. Emma Main is a huge football talent who has developed into an elite athlete performing across National, Federation, and club and college competitions. She achieves not only on the field but contributes to the football community and development of other players. Renee Savaiinaea is one of Wellingtons outstanding young sportswoman who is prominent over several sports at National, Regional and College age groups. National achievements include being a member of the New Zealand Secondary Schools Netball Team, a squad member in the New Zealand U21 Netball Team and the New Zealand Rugby 7’s U17 wider Rugby Training Squad. • Tireque is a Volleyball accredited referee who has also completed a Sport Wellington Coaching Course. • He still finds time to play in the Colleges Senior Boys Volleyball Team where he is a positive role model assisting with player development and management. Jonathan Bailey is a young person who is already active in a voluntary role in Rugby, the sport he loves. Tireque Malila has a passion for Volleyball. He is a dedicated volunteer to the Naenae College Volleyball Programme and contributes to this in many ways. Volleyball, the two sports she is passionate about. Her contribution to Hutt Valley Sport is outstanding. ​• Patrick has already commenced training for the next National Summer Games in four years’ time. Neelu Jennings has cast aside the effects of a significant brain injury at the age of 16 which left her with partial sight and imbalance problems. In spite of that she has pursued her strong interests in the outdoors devoting herself to the integration of disabled people in community sport and recreation opportunities. ​Mary Fisher continues to be a world class performer in her specialty events. Although there were no major international events in the 2017 year to date Mary continued to perform at her very best on every event she could possibly participate in. Patrick Donovan is a dedicated trainer and competitor in track events. His reward for this ethic is exceptionally good placings and times in his chosen events over the last four years. Gareth Fowler is a Hutt Valley Netball Umpire who not only officiates at international and regional level but also assists with the development of existing and new umpires throughout New Zealand. particularly in the Hutt Valley. Gareth strives to achieve the ultimate performance and is a great role model for the younger umpires aspiring to achieve at a higher level. As a coach/assessor in Hutt Valley, he is passionate, hardworking and generous with his time. • Gareth was named the Hutt Valley NZ Umpire of the Year in 2017 for the 8th year playing a major role in the development and management of the Hutt Valley Netball Umpires Academy. Gareth Fowler is a Hutt Valley Netball Umpire who not only officiates at international and regional level but also assists with the development of existing and new umpires throughout New Zealand and particularly in the Hutt Valley region. Gareth strives to achieve the ultimate performance and is a great role model for the younger umpires aspiring to achieve at a higher level. As a coach/assessor in Hutt Valley, he is passionate, hardworking and generous with his time. Wayne Saunders is a former leading Hutt Valley Softball Umpire who is now involved in the development of umpire standards and rules at international level. Jim McIlroy is one of the leading Athletics officials in Wellington and New Zealand. Jim has had a deep involvement in the Lower Hutt Athletics Club for more than 20 years officiating locally, regionally and nationally.